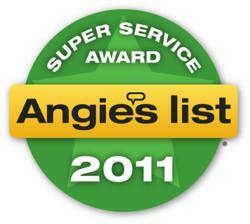 We treat every customer like our best and most loyal customer, and they notice the difference. Bulwark Exterminating LLC is based in Mesa, AZ and is an industry leader in providing high quality pest control service. Bulwark is fully operational in seven states, including the eleven U.S. cities of Charlotte, Raleigh, Austin, Houston, San Antonio, Atlanta, Tulsa, Mesa, Phoenix, St. George, and Las Vegas. While Bulwark provides pest management for common insects such as ants, roaches, crickets and spiders, the company’s differentiating specialty is scorpion control. To do this, Bulwark uses the finest and most effective products in the world to solve common pest problems. Bulwark is privately and family owned, has approximately 250 employees and services over 50,000 customers nationwide, providing pest control in North Carolina, Georgia, Texas, Oklahoma, Arizona, Utah, and Nevada. Local offices in Las Vegas are located at: 3932 Octagon Road, North Las Vegas, NV 89030; 2129 Industrial Rd #203, Las Vegas, Nevada, 89102; and 2707 East Craig Road, North Las Vegas, NV 89030. For more information, visit http://www.BulwarkPestControl.com.